Wargrave 535 was the title of George Rawlinson's illustrated presentation to the April meeting of the Wargrave Local History Society. George, who is now the operations director for the RNLI, grew up in Wargrave and shared his memories of the village at that time. 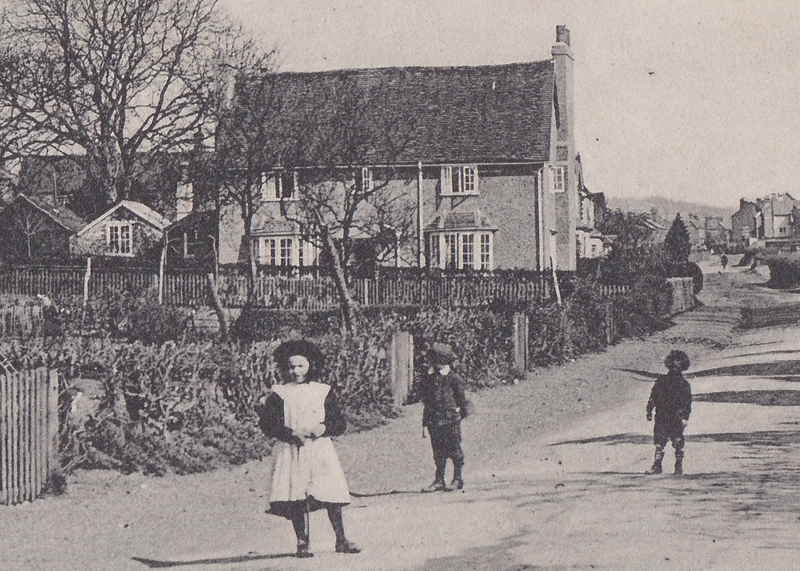 His title slide gave the name of the family home, The Homestead, which stood near the bottom of Victoria Road. At the time there were no postcodes in those days, he added the old telephone number - hence the title for his talk. His talk was very personal and thought provoking, as he reflected on what had brought him here - why here, why now, etc (and why not, for example, war-torn Sarajevo. Wargrave seems such a peaceful place - although not without its heartaches and tragedies. He looked back at the various influences on him - his parents, his older brothers, teachers, the community, considered the present, and looked to the future, and the next challenges with hope. His childhood, he thought at the time, would 'go on forever' - it did end, but it had not been forgotten. His parents had struggled at times, but despite the 'ups and downs, they had worked through them with optimism - although - like many - had made sacrifices parents make for the sake of their children - something he had only really begun to appreciate in later life. His mother, Sara, had been in the Army during WW2, where she worked as a driver, her passengers being mainly high ranking officers. Her family had a business as property surveyors etc in London, but their large house in Wimbledon had been requisitioned, with devastating consequences, during the war. George's father, John, was the son of an electrician from Epsom, who believed that "education was everything". John himself had a background as a chemist, but was intent on a career in the theatre, and adopted the stage name of John Field. The Kenton Theatre in Henley captured his imagination, and the family settled at The Homestead - the house costing £1500 at the time, and said to date from about 1580. It became the "centre of George's universe". The old staircase was one where you could 'tell who was coming up' by the sounds it made, but the cellar below was the "scariest place on earth". The house was somewhat 'beyond the family's means', and so his father had to take on a more secure job, driving for the Henley Carpet Cleaning Co, and later the GPO in Reading, and they also took in lodgers at £5 per week - there was no en suite, no central heating though in those days. Despite this, times were tough, and there were times when his mother would cry over the washing up sink, and eventually the costs of maintaining the house led to the plot being sold in 1974. He was also grateful for the effect his teachers had had on him, "the wisdom and knowledge they had passed on with generosity". His schooling was very much rooted in Wargrave - but his world was beginning to expand. His older brothers also taught him a lot - he always 'worshipped' them - although maybe they did not always show this back! He also joined the Sunday School at the chapel in the High Street - which shaped the way he would respect the faith of others. Many aspects of the Wargrave community also affected him. He recalled Eaton's Garage, in the High Street, where he would be sent to collect paraffin for the heater at The Homestead. Eventually, he was even allowed to wind the handle for the pump to dispense the fuel! His passions, though, were his bicycle and his dog. 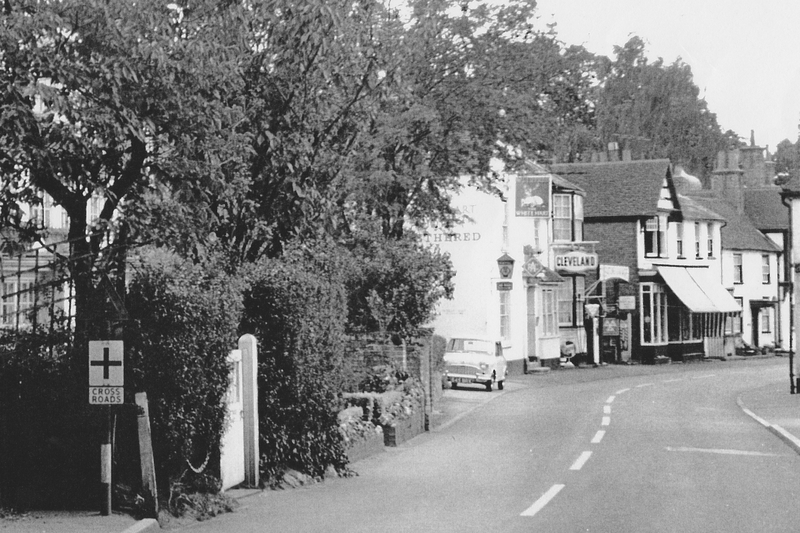 The former gave him the freedom to explore - at first the village centre, then Willow Lane, Loddon Drive, the Straight Mile - and then further afield. He remembered seeing signs put up to announce the building of 80 new homes - what became Purfield Drive and Langhams Way. He would also use his bike to run daily errands - such as to A J Botting's shop for a packet of Woodbines daily for his mother, or to Mary Owen's shop further up. He also would be in awe of the local policeman, Cameron Floate - someone from time to time he found a need to avoid! George's mother then started a playgroup at the Homestead - in part to use her 'people skills', and in part to help family finances. It was 'trail blazing a bit' - certainly not common place at the time - but if his mother decided on something, "it would happen". George would sometimes help at the playgroup - and not just in holiday times! Sara would 'spell-bindingly' tell the children a story, and after drink and biscuits they could explore the garden - about 1/3 acre, that George thought "the most exciting place on earth". Community facilities that George appreciated were the village library and the Woodclyffe Hall. At the latter his father would put on Victorian Music Hall, which he would watch from the gallery. The river was also an attraction, which he could reach on his bike. Sometimes he would call at the Henley Sailing Club, on his way back from Henley (the biggest danger, he said, was the bus, so he tried to avoid meeting that), He learnt to sail in National 12s, and enjoyed skiffing. This led to him, at the age of 7, taking part in the Wargrave and Shiplake Regatta and he has maintained contact with the event ever since. He appreciated the support of many village boating families - the Symons', van Zwanenburg's, Hermon's, Wells', Black's, Warrens' amongst others. Holidays in Dorset convinced him that he wanted to go to sea as a career. Plans to join a specialist college in Anglesey were thwarted when that closed down just as he was due to join, but a school in Dorset provided him with opportunities to participate in maritime activities. He then applied to just one shipping line - P&O - and was accepted, joining a ship as a deck cadet. Preferring to work with a less structured organisation, he then worked for smaller shipping lines, as Chief Officer. In due course, he moved to work for the RNLI, initially 'out in the field', before becoming more 'office based' as its Operations Director. He commented that the skills he had learnt in Wargrave were never far from his mind, and he was thankful for the village community that had helped him develop those. The next meeting will be on Tuesday May 9th, when Peter Trout will tell us about the early history of Airships. The following events take place as part of the Wargrave Village Festival. The Society will conduct a guided Historic Walk of Wargrave, on Sunday June 11th, whilst on Thursday, June 11th Thomas Plant, the antiques expert, auctioneer, and popular television personality will return to tell us "More About Antiques". More details of both of these events can be found in the Village Festival programme. After the Village Festival, on Wednesday July 19th, members will be having their local history visit, to Kingston Bagpuize House.